It’s Black Friday / Cyber Monday / Get Good Stuff for Cheap season here in the US. Given my position with tentatcles into both the photography and WordPress worlds, I’ve seen a bunch of deals float around this year. Here’s the best of what I know about. I’m choosing to not share a bunch of other deals since, well, they just aren’t that good (either the deal or the product). Some of these are affiliate links, so not only do you get an fantastic deal when you click these links, a small commission comes back to help me keep WP Photographers viable. Thanks in advance for your support! 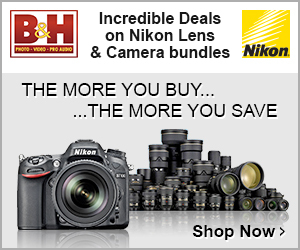 B&H Photo has all of their holiday savings on one page that they’re updating as things change. SmugMug is offering a great deal with 40% off new accounts through 12/2. Just hit that link to get the discount when you set up a new SmugMug account. Envira Gallery is offering a sale with 35% off all of their plans. 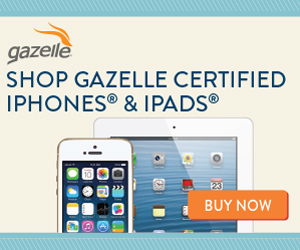 Use this link and the coupon code BF2014 at checkout. OptinMonster is also offering 35% off their plans for a very flexible and successful opt-in plugin. Hit that link and use the code BF2014 at checkout. Photocrati Theme for photographers is on sale for 50% off – through December 1st. 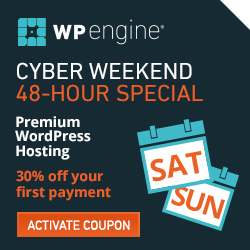 WP Engine, one of our recommended web hosting companies, is offering four months free with a new account. The Photography Spark Business Planning Cookbook is on sale for $39 (regular $99) – expires December 2nd. That’s four months free hosting for new customers using that banner to set up an account – use discount code CyberHosting14 when you check out.